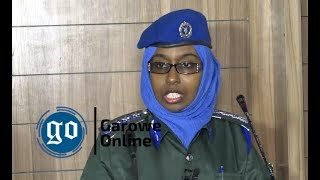 MOGADISHU, Somalia - The Federal Government of Somalia has confirmed the death of Abdulhakim Dhoqob, the deputy leader of the Islamic State militant group’s affiliate in the country, Garowe Online reports. 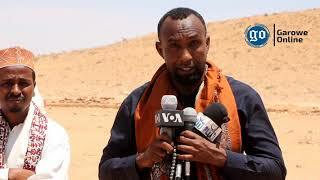 The Somali National News Agency [SONNA] reported that the commander was killed in a joint operation carried out by Somali forces and their international partners near Hiriro village in Puntland’s Bari region. 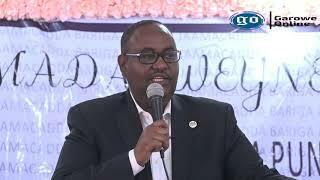 Speaking to VOA Somali Service, the security minister of Puntland State, Abdisalam Mohamed Gallan also confirmed Dhoqob's death, which makes the highest-ranking commander with ISIL to be killed in Somalia this year. 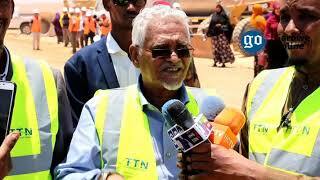 The airstrike took place Sunday between the villages of Hol Anod and Hiriro on Sunday, 14th April. Another militant was reported to have died in the raid. It is not clear which country or group was behind the attack, however, the US military has been conducting frequent air strikes in Somalia since 2013 as part of America's war on global terrorism. Islamic State's footprint has been spreading in Puntland, situated northeastern Somalia, near the Gulf of Aden when Abdulkadir Mumin, a former Al-Shabaab preacher, a Somali-British citizen formed a group pledged allegiance to ISIL in 2015. Mumin’s group has been slowing increasing its activity over the past year. 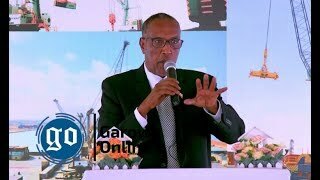 In late 2016, it occupied the port of Qandala in Puntland, a semi-autonomous region, for a month.